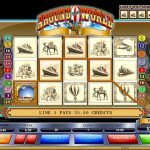 Big Kahuna Snakes & Ladders is a video slot game from Microgaming that lives up to the hype of its predecessor, the original Big Kahuna. Let us take you to a tropical island where you can make a cocktail for yourself from all those fruits, but jus be careful of the snakes since they come out of nowhere. There are a couple of special features in Big Kahuna Snakes & Ladders. Let`s start with the game`s logo which is a wild and it substitutes for all the other symbols except the bonus symbol to complete a winning combination. During the base game the wild offers x 2 multiplier, but during the free spins the multiplier is x 4. 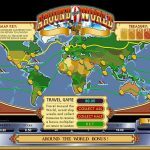 A game without free spins is not complete and most of you will agree on that. The good news here is we do not have to chase scatter symbols since the feature is randomly activated. 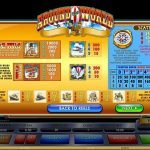 You will receive 5 free spins with all the wins doubled. This takes the tension off a bit. There is one more feature here the Snakes and Ladders Quest. It is activated with the snake and ladder symbol on the first, third and fifth reel. Roll the dice and play the game. The higher you get, the higher the prizes are. Big Kahuna Snakes & Ladders is a great sequel to an already existing game from Microgaming. The game has everything a punter looks for in a slot. The graphics are outstanding and the game play is very straightforward. There are special features just to spice things up and at the same time to boost your balance too. This is definitely a slot that is worth checking out. To learn more about East Asian culture consider playing Asian Beauty a 5 reel slot by MicroGaming.